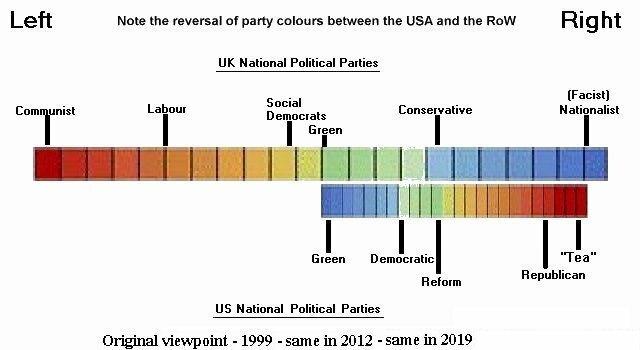 There really is little difference between USA parties, although they'd like to think there is (and this is reflected in the often widely differing poll results). Thrown to the wolves in the UK, they'd be bundled together somewhere in the top end of centre-to-right wing politics. Constant bickering between very similar points of view simply reflects the USA 'need' for politics of some sort.